Interested in Video Production, Digital Filmmaking, and more? Drop by the BIG Info Session at BCIT tonight (Wednesday, Nov 19) from 5-8pm to talk to current students and faculty! Come out and meet us at the BIG info session & Program Expo! If you’re interested in seeing what the BCIT Television and Video Production program has to offer, drop by BCIT’s Burnaby campus on Wednesday, March 2nd from 5-8pm. 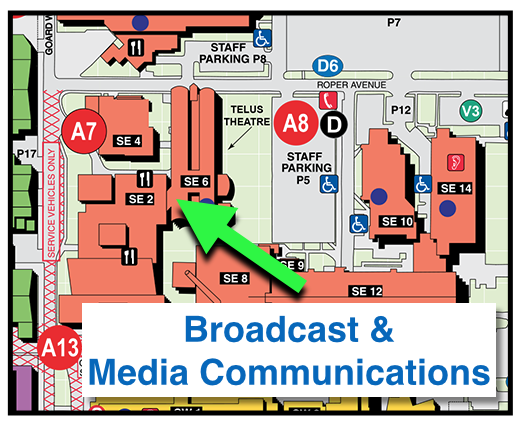 The entire Broadcast Department will be set up in TownSquare A/B so visitors can meet our students and faculty, and have a look at the Television and Video Production program’s P2-HD production workflow combined with our new Broadcast Pix and EVS replay unit for live production!